Our TEFL Program includes a 4-week teacher training course (TEFL) as well as a month of Spanish classes. 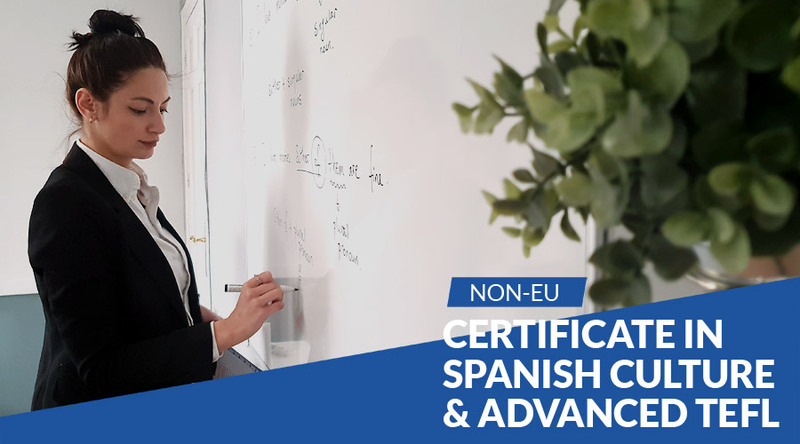 The perfect way to start your new life teaching in Spain. For EU passport holders only. 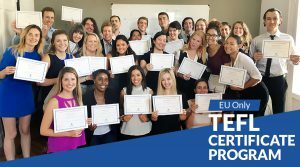 This TEFL Program is perfect if you want to teach English in Madrid, Spain, immerse yourself in the Spanish culture and language and earn two TEFL qualifications that are valid worldwide. For Non-EU passport holders that already have a TEFL Certificate. If you’re moving to Madrid and want access to our TEFL family, as well as contacts, legal paperwork support and more, this is the program for you! 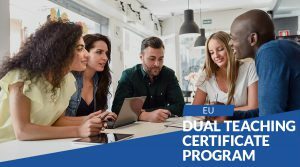 For EU passport holders that already have a TEFL Certificate. 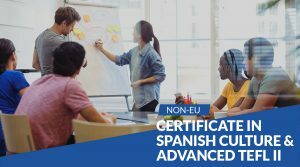 A teacher training program for those who want to be certified to teach both English (TEFL) and Spanish (Español como Lengua Extranjera) as foreign languages. For EU passport holders. 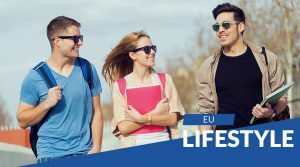 Ask about options if you’re a Non-EU passport holder!